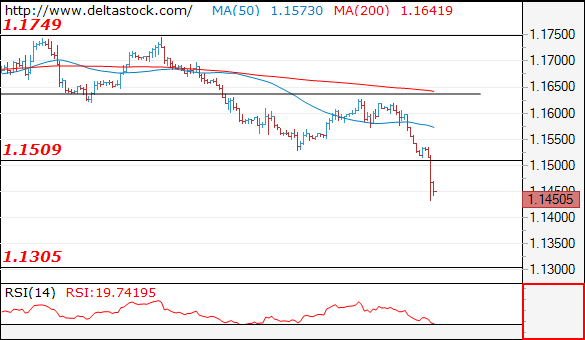 The slide through 1.1509 shows, that the prolonged consolidation since the end of May is over and the outlook is bearish, for a dip to 1.1300 area. Initial hurdle lies at 1.1510. 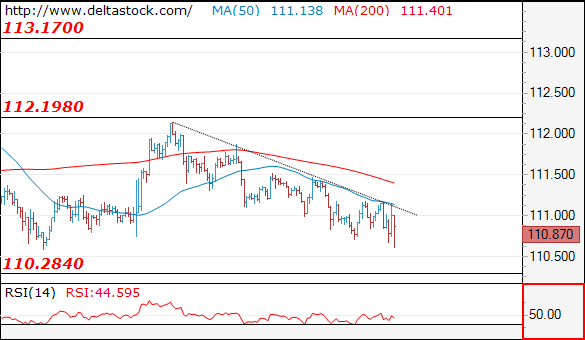 The downtrend is still intact, but a break through 111.20 will signal a reversal for 113.20. The downtrend is intact, heading towards 1.2570-2620 area. 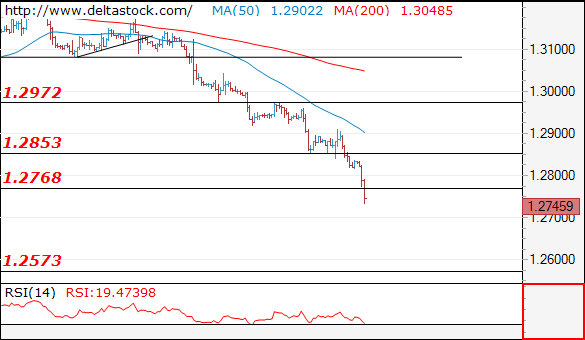 Initial resistance lies at 1.2770, followed by the crucial one at 1.2850. These analyses are for information purposes only. They DO NOT post a BUY or SELL recommendation for any of the financial instruments herein analyzed. The information is obtained from generally accessible data sources. The forecasts made are based on technical analysis. However, Delta Stock’s Analyst Dept. also takes into consideration a number of fundamental and macroeconomic factors, which we believe impact the price moves of the observed instruments. Delta Stock Inc. assumes no responsibility for errors, inaccuracies or omissions in these materials, nor shall it be liable for damages arising out of any person's reliance upon the information on this page. Delta Stock Inc. shall not be liable for any special, indirect, incidental, or consequential damages, including without limitation, losses or unrealized gains that may result. Any information is subject to change without notice.